The new look of large-scale luxury. The 2015 Lincoln Navigator is here! Building on the DNA of a legendary brand first introduced in the late 90s, the newly redesigned – and reinvented – 2015 Lincoln Navigator truly takes power, beauty and performance to a stunning new level in the full-sized luxury SUV market. It’s a complete rethink of what made the Navigator such a driving icon in the first place. A newly redesigned exterior with sleek new hood design, cleaner lines and a return of the distinctive split-wing grille completes the front end. The back end is cleaner and edgier with independent rear suspension and power up/down tailgate. Both ends feature LED lights as well as high-intensity discharge (HID) adaptive headlamps with LED accents. “Welcome mat” lights below both front doors offer an extra touch of functionality and style. A newly updated interior with a smartly redesigned instrument panel is the focal point. The Reserve Package features sumptuously crafted leather and stitching, with a hand-wrapped leather instrument panel and glove box. Natural grain wood used in paneling and trim is new to the automotive industry, previously only found on yachts. Comfortably seating up to eight people, the Navigator offers a number of flexible interior configurations including second row options that include two captain’s chairs, with or without a center console, or a fold out bench. The new 3.5 liter twin turbo-charged EcoBoost® engine delivers more power. 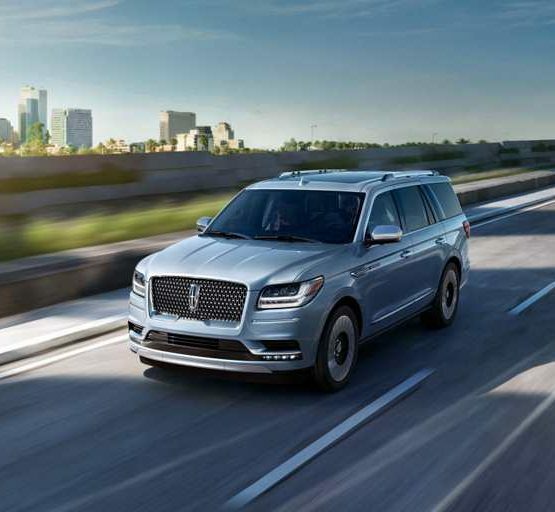 Lincoln Drive Control with Continuously Controlled Damping (a suspension system that monitors multiple vehicle sensors and road conditions every two milliseconds and adjusts the suspension accordingly) provides for the smoothest ride ever for Navigator. Electric power-assisted steering improves handling and precision under a wide range of conditions. This lets the driver customize the ride by selecting one of three different control modes: Normal, Sport and Comfort. The direct injection engine delivers 370 horsepower and 430 lb./ft. of torque enabling Navigator to deliver best-in-class towing. The Navigator comes standard with 20-inch aluminum wheels; the Reserve Package vehicle comes equipped with 22-inch, polished aluminum wheels with chrome running board accents available. Navigator is available in both four-wheel-drive and rear-wheel-drive configurations. With a redesign and update this extensive, there are many other compelling features to be noted in future reports. In the meantime, Hassett invites you to reserve your test drive to see for yourself. 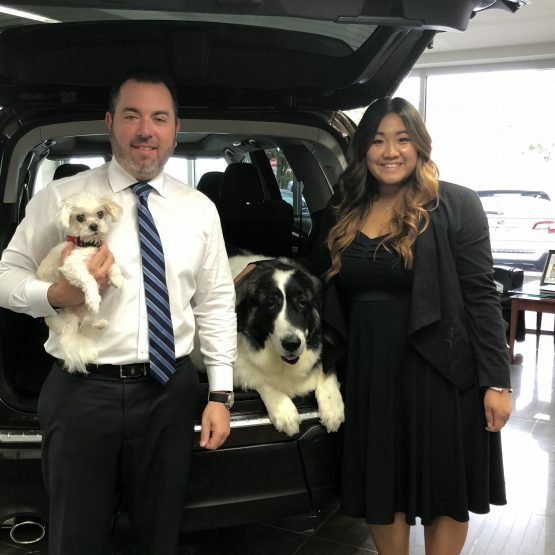 Hassett Lincoln Ford Suburu of Wantagh, NY is the number one automotive dealer in Long Island and the only tri-state dealer to win the prestigious company President’s Award for 10 consecutive years running. Visit Hassett Ford, Lincoln, Subaru, Truck and Pre-Owned for your new vehicle! We are in Wantagh, NY in Nassau County near Suffolk County, NY. If you are looking to buy, lease, or finance your new Ford, Lincoln or Subaru at the right price, call 516-785-7800 today or visit http://www.HassettAutomotive.com. We serve Long Island, NY, Wantagh, NY and the surrounding areas. 3530 Sunrise Highway, Wantagh, NY 11793.